 We are a friendly club that promotes paddlesports as a means of being active, enjoying the outdoors and having fun. We partake in many paddlesport disciplines including: Kayaking (recreational to white-water), Open-Canoeing, Slalom, Freestyle, Surfing, Touring, Sea and Stand-up Paddleboarding. We are a Canoe England and British Canoeing affiliated club. We are based in Shoreham-by-sea at the 3rd Shoreham Sea Scouts Headquarters, next to the Adur river and just north of the Norfolk Bridge (use postcode BN43 5LT to find us or for W3W ///segregate.spray.vague). We paddle here every Sunday, all year round, at 10.00. We can provide all of the equipment and kit that you need to get ‘on the water’. Our website should give you all the information you need but you can find out lots more about us by visiting our Facebook page. If you would like to paddle with us have a look at our FAQs page and get in touch via facebook or our contacts page. If you want to book a place at a pool session or on a club trip then go to our webcollect page. Sunday Paddle OTW 10.00. Check FBook for tide details.